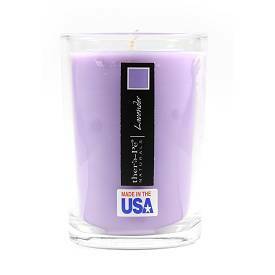 Romance Expressions knows that candles and scent creates a romantic atmosphere. Candles are usually used for their aesthetic value, particularly to set a soft, warm, or romantic setting. There is something about a candle that is just plain wonderful. It’s why candle light dinners are so romantic, and why candles can add so much warmth. You can find pleasing scented candles for any occasion. The glow of a burning candle and scent will add romantic atmosphere to any bath and body room. After a hard day at the office, you too can create a relaxing mood with candles making it a fancy evening for that special person. Turn the lights down low and let the flickering lights of candles with their soothing scent unwind you. Many people are using candles to add charm and romance in their home. To provide your nose with a continuous flow of pleasant scent, you should purchase several different scented candles and alternate between them. You will be sure to always have a great candle scent to smell because after smelling the same scent for a period of time, we grow accustomed to the scent. Romance Expressions' collection of carefully hand selected candles and scent will provide the most convenient ways to spark and sustain romance without leaving home. Put your scented candles in unique candle holders and create a romantic atmosphere with your candles.